Members of the Executive Board are elected by the General Assembly for three years with the possibility to extend this for a further three-years. Their role is to oversee strategic development of EuroFIR AISBL, and provide technical and scientific support as necessary. Preparation of Operating Procedures for the efficient operation of the Association. The preparation of an annual report on the affairs of the Association for approval by the General Assembly. Paul is Head of the Food Database National Capability at the Institute of Food Research (Norwich, UK) and EuroFIR Managing Director. Currently, he is also EuroFIR AISBL President. 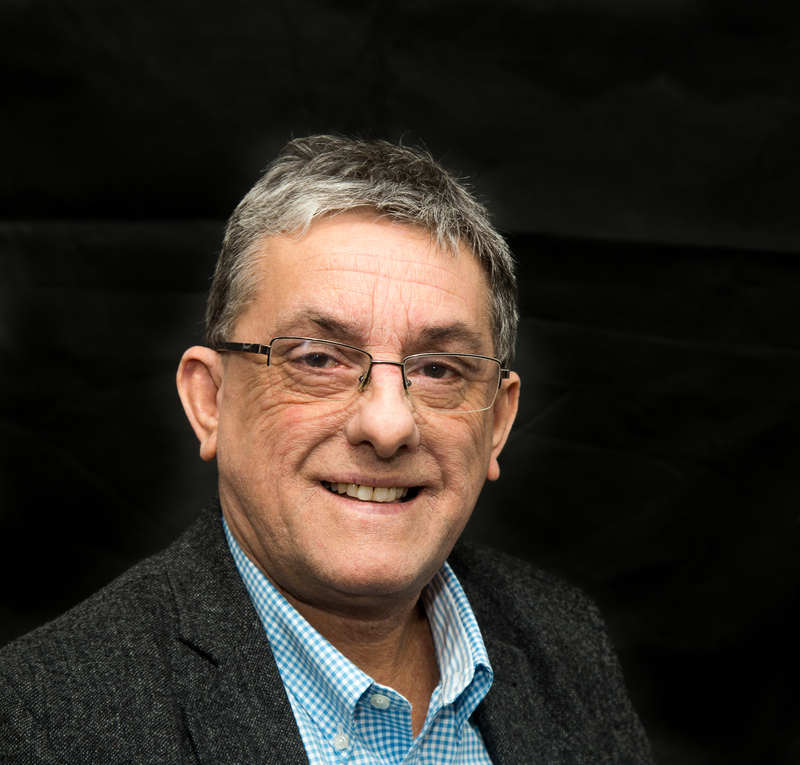 Paul is an experienced food and nutritional scientist with over 250 publications in food composition and nutrition research specialising in vitamin nutrition and health. He has considerable experience in co-ordinating national and international projects. He co-authored McCance & Widdowson’s ‘The Composition of Foods’ (6th Summary Edition; 2002) and is currently developing an online UK food dataset with the Food Standards Agency (FSA), industry and other key stakeholders. Paul has participated in six EU funded projects since 1989, coordinating three projects in FP4 and FP5. He was a member of COST 99, co-chairing the working group on Data Quality and is currently the UK representative on CEN/275/WG9 committee on vitamins. He has provided expert advice to a number of bodies including the FSA, British Council, FAO and EU. He is also Editor of the journals Food Chemistry and Trends in Food Science and Technology. 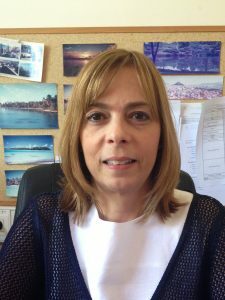 Maria is research director of Centre of Research Excellence in nutrition research, Institute for medical research in Belgrade, Serbia and the member of executive board of EuroFIR AISBL. She is an experienced basic and nutritional scientist with over 150 peer review publications and presentations. Maria has considerable experience in leading national and international projects and since 2006 she participated in seven EU funded projects. Maria and her team were responsible for the creation of first on line national food database, for designing food data management system and for development of different nutritional tools for intake analysis. She leads post-graduate department for integrated nutritional sciences at University of Belgrade where she teaches two post-graduate courses. 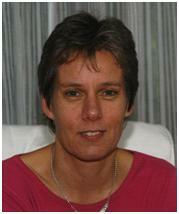 Susanne Westenbrink is a senior research dietitian at the National Institute for Public Health and the Environment (RIVM) in the Netherlands, and is responsible for the coordination the Dutch food composition database (http://www.rivm.nl/nevo_en/). She has nearly 20 years of experience in food composition database work, and was involved intensively with both the EuroFIR Network of Excellence and EuroFIR NEXUS. Susanne also contribute(d) to several other projects such as the Dutch National Food Consumption Surveys, projects monitoring food reformulation in the Netherlands, EFSA’s call on food composition data in 2012 and the European Nutrient Data Base project (ENDB) for the EPIC study. Before working at RIVM, Susanne worked at Wageningen University (NL) and the TNO Institute on Food and Nutrition (Zeist) on research projects in the field of food consumption and food composition. Susanne regards working on food composition databases through national and international networks as an important tool to further establish standardisation and harmonisation to improve quality and comparability of food composition databases in Europe and beyond. Karl Presser is the founder of Premotec GmbH and works also as a senior scientist in the Department of Computer Science at ETH Zurich in the Global Information Systems Group, led by Prof. M. Norrie. He trained as a computer scientist and earned his doctoral degree at ETHZ investigating data quality on food composition data focusing on basic principles of data quality and how a computer system can support users to manage data quality. Karl was the primary creator of FoodCASE where some of his research work is incorporated. After his computer science study, also at ETH Zurich, he worked 4 years in an SME as database designer, database developer, software architect and software developer. He designed a relational database to store and calculate timetables for universities and secondary schools using artificial intelligence, in particular evolutionary algorithms. He also introduced the product to different customers as project leader and product manager. Karl participated in the FP6 EuroFIR Network of Excellence and FP7 EuroFIR NEXUS. He was also a work package leader for FP7 project TDS-Exposure. Luca Bucchini is a food risk scientist, and a consultant. Based in Rome, Italy, he is co-founder and managing director of Hylobates, a food safety, cosmetics and food regulatory affairs consultancy.For the past fifteen years he has worked with academia, food industry, and authorities, at the EU, national and regional level, on food and food supplement related issues. He is leading research teams in food allergen risk assessment and water contaminants. As a consultant, he works with European businesses, trade organisations and public bodies to assess risks of foods and novel ingredients, to prevent food contamination and foodborne disease, and to prepare for recalls and food crises. In the context of PlantLIBRA, Luca has acted both as project manager and researcher. After putting together the original proposal, he has worked hard with the coordinator to help the project achieve its ambitious scientific and policy goals. Science-wise he has worked on intake, risk and benefit assessment methods and case-studies, that would fit the specific nature of botanicals. Dr Loek Pijls pmp has founded and runs the company Loekintofood. It addresses questions around how what we eat impacts our health, and how to apply this nutrition understanding to our health - how to make it land on our plates? He has been The Coca-Cola Company’s Global Director Nutrition Innovation. For Nestlé Health Science he was Regulatory Affairs Manager for Benelux, as well Corporate. At Nestlé Research Center he led a Group that guided, worldwide, the scientific substantiation of health claims, from early research to product launch. He was ILSI Europe’s Senior Scientist, and Director of the EC-funded EURRECA Network of Excellence. At the Health Council he advised Ministers on health claims, dietary reference values and mycotoxins. His intervention study at the Vrije Universiteit Amsterdam found that dietary protein restriction does not protect kidney function in Type 2 diabetes. He worked at the Center for Epidemiology of the Dutch National Institute for Public Health. At Wageningen University and Ethiopian Nutrition Institute he assessed how vitamin A, I and Fe deficiencies impact one another, and how Ensete ventricosum is grown and what it yields. Loek’s MSc is from Wageningen University and his PhD from Vrije Universiteit Amsterdam. He is also certified at PhD level in Nutritional Sciences and in Epidemiology, and as Project Management Professional (PMP®). Maria Kapsokefalou is Professor in Human Nutrition and the Deputy Rector on Student Affairs, Academic Collaborations and Outreach at the Agricultural University of Athens, Greece, Greece. 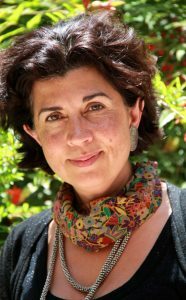 Maria Kapsokefalou is also a member of the National Council for Research and Innovation, of the Scientific Advisory Board at the Ministry of Education, of the Hellenic Food Safety Authority at the Ministry of Rural Development and Food and of the National Committee on Nutrition Policy of the Ministry of Health. 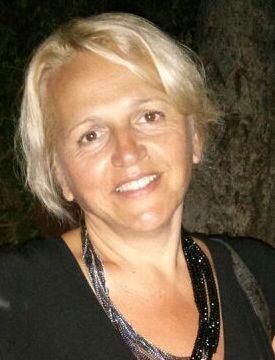 She is also the Vice President of the Hellenic Pasteur Institute. Following a BSc in Chemistry at the University of Athens, Maria Kapsokefalou pursued her graduate studies in Food Science and in Nutrition at Cornell University as a Fulbright Scholar. She received her MSc in 1989 and PhD in 1992 and continued her scientific development in Nutrition at Cornell University, as a recipient of the Nutricia Research Foundation International Training Fellowship, at ETH Zurich, and at the University of Crete, where she was a Researcher and Lecturer in Food Science and Nutrition until 2000. In 2001 she joined the Department of Food Science and Human Nutrition at the Agricultural University of Athens. Her research activities aim to the promotion of Public Health though better nutrition. She investigates health benefits of bioactive compounds and novel and functional foods, linking Nutritional Sciences and Food Science. She evaluates dietary intake in the general adult population and in children, pregnant women and older adults. In particular, she has conducted studies on food, beverage and water intake in various population groups and on the socioeconomic factors that may affect food intake. She also studies food aid models and food policy measures that aim to alleviate food insecurity in vulnerable populations, such as school lunches, food packages, food banks etc. Her scientific and professional interests include outreach programs on the sustainable development of the agrofood sector in Greece. ​ Helena Soares Costa, Ph.D in Biochemistry is a Senior Researcher at the National Institute of Health Dr Ricardo Jorge, I.P (INSA, I.P.) and coordinates the Research & Development Unit of the Department of Food and Nutrition at INSA. She was Vice-President of the Scientific Council of INSA from 2010 to 2017. ​ Her current main scientific areas of research are Food Composition, Nutrition and Food Safety. She has considerable experience in development of analytical methods for food analysis, food composition analysis (nutrients and bioactive compounds) and databases, dietary assessment and data quality. Up to now, she has published over 90 publications on a wide range of topics in food science and nutrition. She has supervising experience of Post-Docs, PhD and MSc students and she has also imparted lessons at several Universities. Helena has coordinated national projects and participated in EU funded projects, as work package leader of Traditional Foods in EuroFIR (FP6) and BaSeFood (FP7), and has participated in PERSSILAA project (FP7). ​ She is a member of the Editorial Board for Journal of the Science of Food and Agriculture and for British Nutrition Foundation, Nutrition Bulletin.